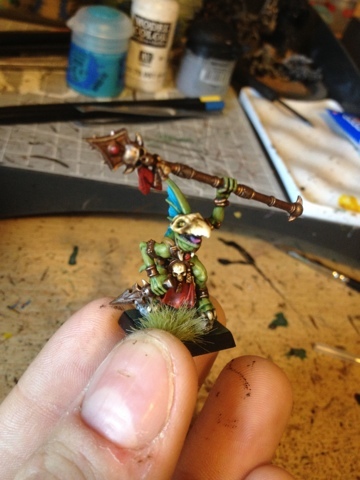 Just a few pictures of a test model I've done for my future Lizardmen army. 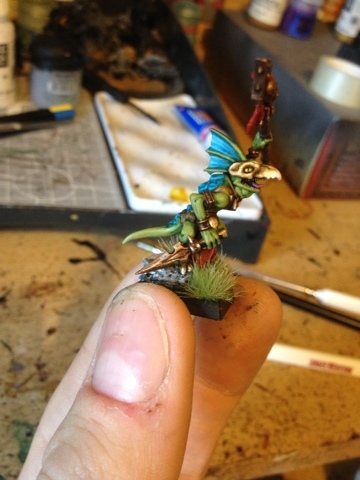 Gone with green skin and turquoise scales and a red spot colour. Quite like it. I'm not 100% on the gold/bronze colour. 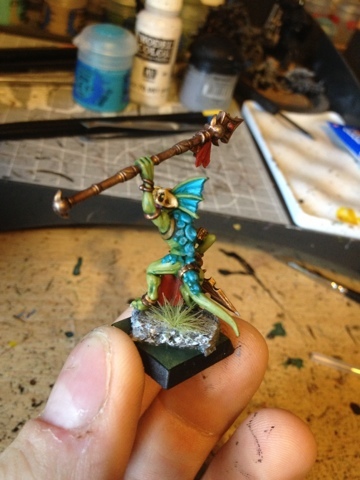 Different to how I normally paint it. What do you guys think? Will it stand out? Possibly thinking of the GW blue lizards. Is that boring?